The UK’s first expo aimed exclusively at startup and independent retailers, Cloud POS & Payments Expo will bring together thought leaders from the retail technology space including Xero, PayPal, Star and more along with retailers and POS resellers for an evening of inspiration, information and networking. 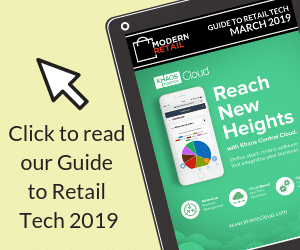 As well as insight from leaders in cloud retail, you’ll learn how to modernise your business with technology and see how easy it is to setup and run cloud solutions across ePOS, ecommerce, payments & accounting. Then, get hands-on as we demonstrate how to create a fully functioning retail business and integrated ecommerce webstore in less than 10 minutes.